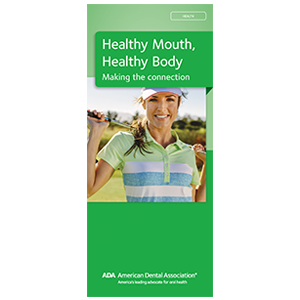 What’s the harm in not maintaining proper oral health? Revised to follow current research, this brochure shows the connections between diabetes, other chronic diseases and perio. Points out that ongoing inflammation from periodontitis is linked with heart disease, blocked arteries and stroke. Includes graphics of periodontitis and a list of perio warning signs. 6-panel brochure, pack of 50.